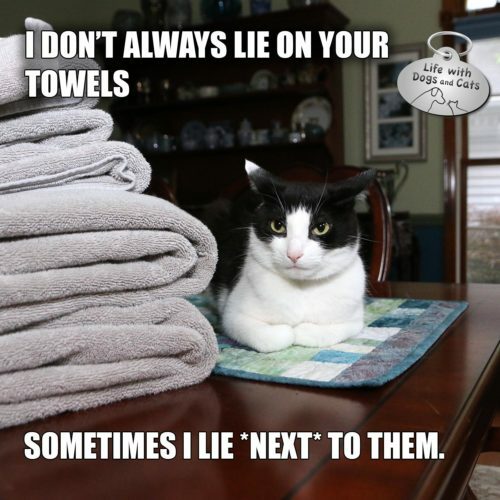 4 Comments on "I Don’t Always Lie on Your Towels #MostInterestingCatInTheWorld"
dood…..we hope ya iz layin on em fresh outta de dryer 🙂 !! You need to fur them up a bit, Calvin. Didja at least rub your self against them, Calvin?